This 21' Riddlers Wave lets you slide up and down for an all around great time! 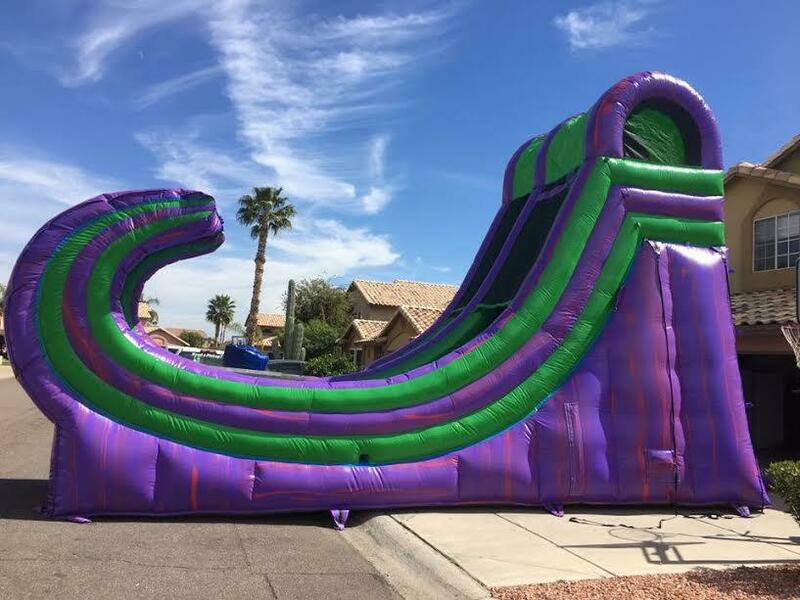 Take a wild ride on the 21-foot inflatable slide and roll into the half-pipe design. Fast and fun for children and adults. Perfect for backyard parties, company picnics and corporate events! Bright colors match any party theme.